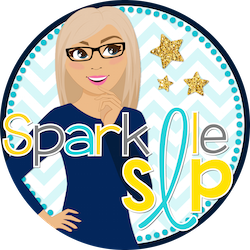 October is here and I'm decorating for fall at home. 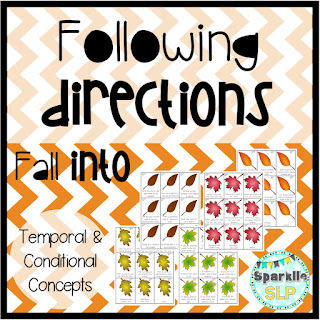 Although I don't change my decor in my speech room, I do love using themes in therapy, which adds some fall colors. 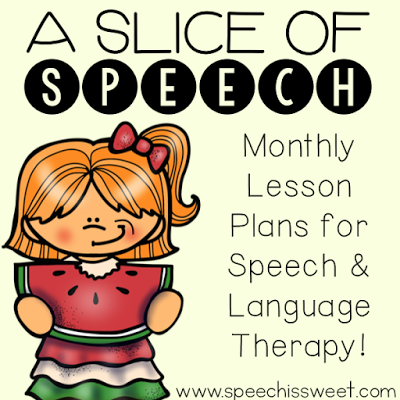 I'm joining Speech is Sweet again for a Slice of Speech Monthly Lesson Plans for Speech Therapy. 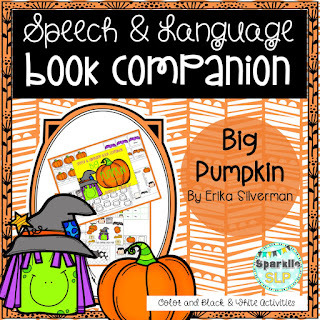 I'm sharing fall-themed and Halloween-themed plans for this month. I use a form that is contained within my SLP Planner workload forms and usually write down activities that fall into each speech and language area. When I write out my group plans, I quickly glance at the notes on the weekly plan. I have a container next to my therapy table that houses all my chosen activities for the week(s), so it's grab and go (literally when I am pushing into classrooms). 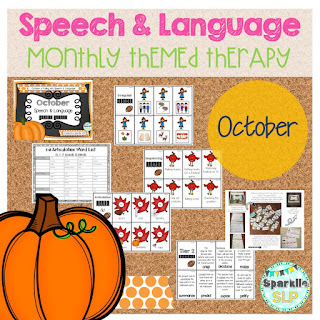 My Monthly Speech and Language October is Back to Speech and Language packet will be my quick drill therapy this month. 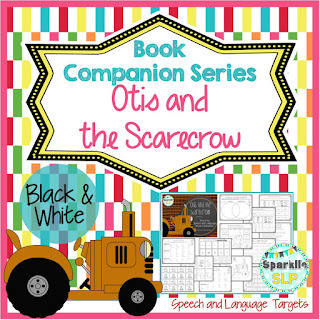 This product contains cards and activities for just about every student on my caseload. While it takes some time to prep, it can be used over and over again for skill and drill therapy. 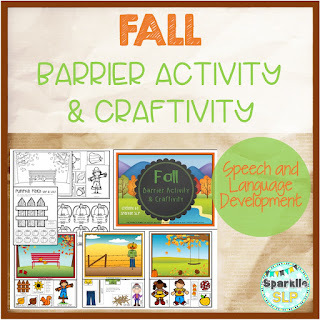 For those mixed kindergarten groups...I'm covered with another barrier activity! 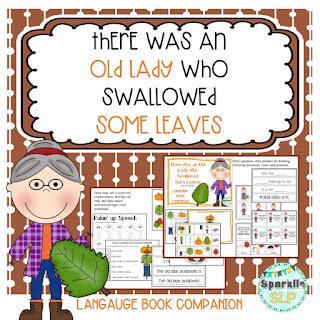 Some interactive following directions using leaves is also in the plans! What materials are in your plans for October?